“Back To Life” is out now on Beatport! Don Diablo returns with another high energy track. After his most recent release, Back In Time was a huge success, Don is back! 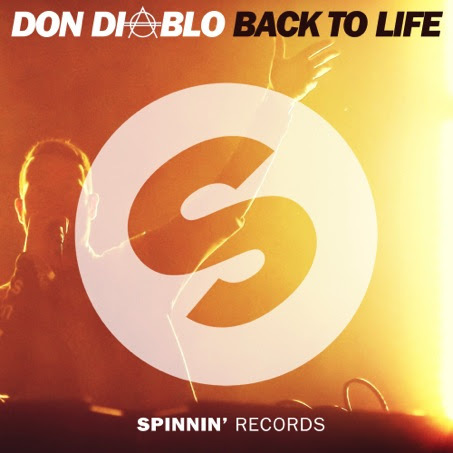 Now with Back To Life, yet another smashing hit Don Diablo has produced. From vocals to the build up to the drop, “Back To Life” is the perfect combination of groove and house music. Don Diablo has received a lot of support with Back To Life from the likes of Hardwell, Kaskade, Cedric Gervais, Sander van Doorn, and Nicky Romero, just to name a few! There has been so much buzz on this track, already reaching more than 370.000 views (and still counting) on Youtube, Don Diablo created a monster success once again.